Postal Training Centre Mysore is a premier Training Centre of Department of Posts that runs high quality training programs for postal personnel. In keeping with the mandate of the department of Posts to introduce large scale computerization and automation in postal Operations , PTC has equipped itself with the state of art computer training facilities and trains a large number of personnel in IT related activities. 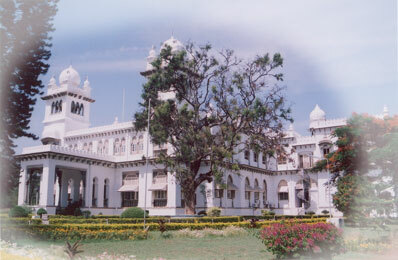 The Postal Training Centre at Mysore is housed in a palace, which formerly belonged to Royal Family of Mysore. The campus is spread over an area of 31.5 acres with hostels, play-grounds and other amenities for trainees.